O/o District & Sessions Judge, Darrang. 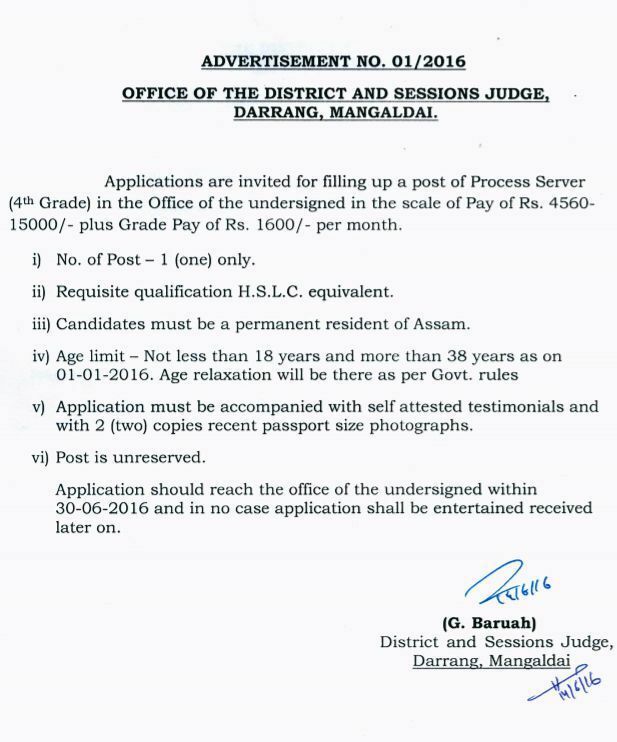 Applications are invited for filling up a post of Process Server (Grade-IV) in the Office of the District and Sessions Judge, Darrang, Mangaldai. How to apply: Application must be accompanied with self attested testimonials and with 2 (two) copies recent passport size photographs. 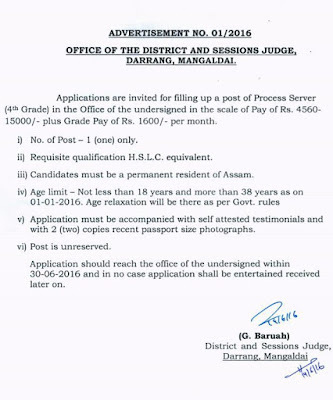 Application should reach the office within 30.06.2016 and in case no application shall be entertained received later on.